For all bookings and enquirers please contact us directly. Audi Safaris does not support bookings from or deal with Maun Travel or Mad Bookings. Please contact us directly if you want to make a booking. 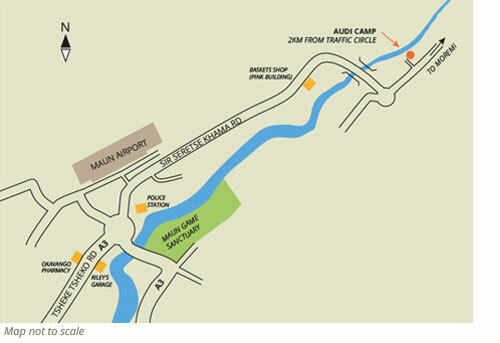 Audi Camp from which all Audi Safaris run is situated at the edge of the Okavango Delta 12 Km from Maun.